Today the Bank of Canada decided to raise its key rate by 0.25% to 1.75%. It is expected that Canada’s major FI’s will follow suit and raise their Prime rate of interest to 3.95%. Interest rates are still at record low levels and BoC has indicated that it would like to achieve a “neutral stance” for its key rate, which is to say that it would like the cost of money to be in a position where it neither stimulates nor curbs growth. Many things affect the fragile Canadian economy and achieving what the BoC sees as perfection is a long and winding road ahead. With new taxes coming into play in Canada in 2019 and the U.S. drastically cutting their corporate tax rate this year, there are a lot of headwinds ahead for Canada that the BoC does not seem to acknowledge. Very recent news has Saudi Arabia opening up supply of petroleum to lower prices which will be another hit to the Canadian economy’s natural resource sector. 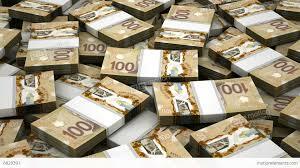 Raising the rate today will also be an upward push on the Canadian dollar. This will go against the competitive ability of exporters and further stress the Canadian economy’s ability to expand. In summary, BoC would like to raise rates sooner than later. The reality is we will have to see how the recent rate hikes settle into the Canadian economy. Undoubtedly the BoC will have to be more cautious than it has in the past year and a half.